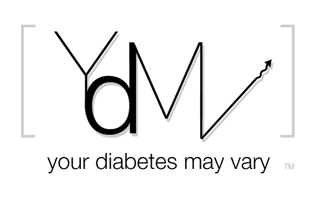 Your Diabetes May Vary: We Hold TheseTruths to be Self-Evident, Except Trials are Required. We Hold TheseTruths to be Self-Evident, Except Trials are Required. Medtronic has a press release out today that says with Low Glucose Suspend (LGS) folks spend less time in hypos. That seems kind of intuitive to me but hey the studies need to be done. It it wasn't a small difference IHMO. 19% less time in hypos. You can read the press release here or click this graphic to see what is said in markets that aren't the USA and where people with diabetes can get a LGS pump. YDMV has burned a fair number of electrons on and around LGS. Here is hoping this helps the FDA focus on the value this step brings living safe lives with insulin infusion. Low Glucose Suspend would be a Godsend for an active 9 year old girl. It would also give me a little more peace of mind at night, when I have caught many a low. And God willing, it might save her life one day when she is independent in her care. Can we have it now please, on ALL our pumps? On April 10th I will be visiting my endo to hopefully qualify to enroll in the continued study to test the Veo against the Revel. I'm really hoping that I'm not in the control group!